Morris is from South Africa where at the tender age of 22 years old, he graduated as a dentist from the University of Witwatersrand in Johannesburg. After two years in the army he arrived in London in 1982. In 1986 he established the Preventive Dental Practice in Southfields. The practice has grown from strength to strength based on its philosophy of total, gentle dental care. 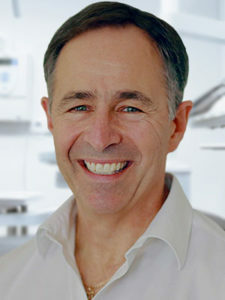 Morris has pursued his passion for quality and excellence studying the prevention of dental and gum disease, as well as developing his skills and knowledge in cosmetic techniques, orthodontics and dento-facial orthopaedics. Morris is married to Gail who is a teacher. They have three sons Glen 25, Michael 22 and David 20. Gail is a keen walker and the boys are basketball fans whilst pursuing fitness and bodybuilding passions as well as martial arts. Morris is a keen cyclist, regularly taking part in international events most recently in France, Brazil and Italy. He has also completed several London marathons and triathlons always raising funds for his favourite charities. Giuseppe is from Italy, where he qualified as a dental surgeon in 1994. He has spent most of his professional career in London and has worked successfully with prestigious dental clinics, including Boots Dentalcare in Kensington. He is highly experienced in Endodontics (root canal therapy) as well as general restorative dentistry. Giuseppe was awarded a Masters in Endodontic Practice by the Queen Mary University of London and his research project on root canal treatment was published in the British Dental Journal. 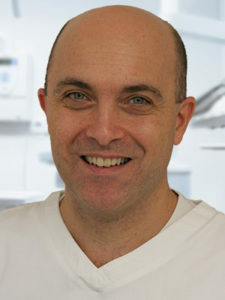 Giuseppe also worked as specialty doctor in Endodontics at the Royal London Hospital and he is currently a Clinical Lecturer at Queen Mary’s. He lives in Wimbledon Park with his South African wife Onitha and his son Nicolas. He enjoys cooking, reading and visiting art galleries. He is also an enthusiastic football supporter. Retzepi is a registered specialist in Periodontics and honorary Clinical Lecturer in Periodontology at the world-renowned UCL Eastman Dental Institute. She is the recipient of the most prestigious international awards in Dental Implantology, namely the 2009 European Association of Osseointegration Research Award and the 2010 Andre Schroeder Research Prize. 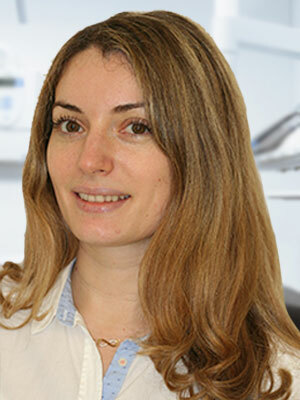 She holds the Certificate of Clinical Specialisation in Periodontics and Master of Science in Oral Biology with distinction from the University of Athens, following completion of a three-year full time specialist training programme. She has further completed a clinical fellowship programme at the Department of Periodontology and Fixed Prosthodontics, University of Bern, Switzerland. Maria received her Doctor of Philosophy (PhD) degree from the University College London Eastman Dental Institute for her innovative research on the effect of systemic diseases on osseointegration of dental implants and on bone regeneration. 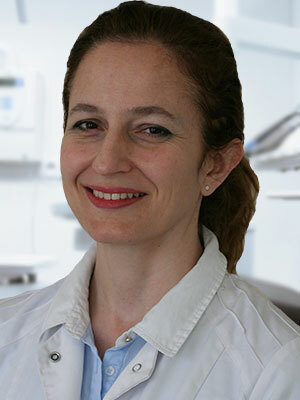 She is a Fellow of the International Team of Implantology and the Higher Education Academy and she is a member of the European Association of Osseointegration and the European Federation of Periodontology. She has several publications in international journals, serves as referee for the Journal of Clinical Periodontology and the Clinical Oral Implants Research and has lectured extensively to professional bodies on topics related to periodontology and dental implantology. 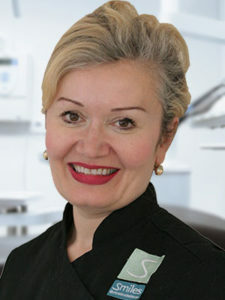 Maria joined the Smiles @ The Preventive Dental Practice in 2014 as a Specialist in Periodontics and welcomes referrals for consultation and treatment of periodontal and peri-implant diseases, including surgical and regenerative treatment, as well as periodontal plastic and cosmetic procedures. I am a careful and considerate dentist who is always happy to talk through any questions with my patients. I listen to my patients and believe that dental treatment should be a collaboration between the dentist and the patient. I enjoy working with nervous and anxious patients and provide both family and cosmetic dentistry. The best part of my job involves working with my patients to get them the smile that they deserve so that they can feel conﬁdent about the health of their teeth. After working in practice for a few years I travelled to Ghana and worked for a dental charity for four months where I provided dental care for communities who had no access to dental treatment. I trained staff to continue to care for patients after I left. I have raised money for Dentaid (a dental charity) by running the Great North Run several times and I believe that it is important to give my spare time to charitable work. When I’m not at work I’m often out running with my husband – I may be seen running home from work when I’m feeling energetic. I have a son called Reuben who was born in 2015 and I live up the road in Southﬁelds with my husband Paul. Iro came to London 14 years ago to study dentistry and forgot to go back to sunny Greece. The reason is not the lovely weather we have here but the opportunities she gets to excel her skills in dentistry by attending numerous courses in the UK and abroad. Iro loves giving people healthy and beautiful smiles by using the latest techniques she learns on the courses she attends such as cosmetic white fillings, invisible braces and whitening. 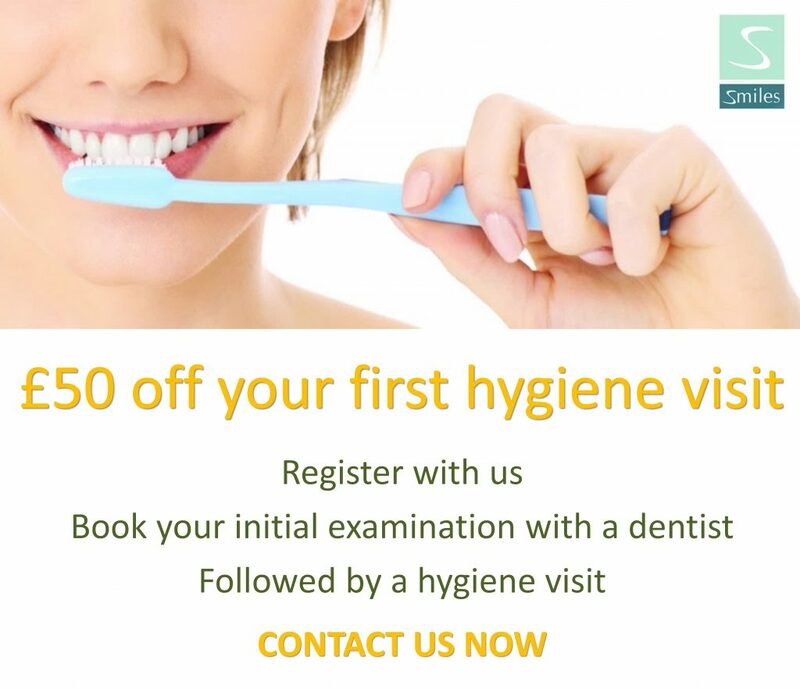 She believes in a 5* dental experience so her concern is not only the dental result but also the comfort of the patient throughout the treatment. Linda completed her degree from Rigas Stardins University in 2014 and has been working as a dental hygienist since then. Linda shows great expertise in preventative treatments, with excellent skills in scaling and root planning, as well as dental infection control. She ensures that patients are informed on how to maintain a healthy and beautiful looking smile after each visit. In her free time, Linda enjoys a lot of active hobbies such as snowboarding, cycling and hiking amongst others. She also has a great sense of humour! Zainab was born and grew up in South West London. She graduated as a Dental Hygienist from the University of Essex in 2010 and has since worked in a number of practices, both mixed and private in and around London. 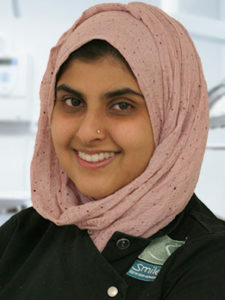 Zainab has completed a ‘Zoom’ teeth whitening course and has attended many other courses such as IRMER, Medical Emergencies and Cross Infection Control. She also regularly attends Dental exhibitions throughout the country and is always keen to develop her knowledge and skills in Dental Hygiene. Zainab prides herself on her thorough and holistic approach, always motivating patients to strive to improve their oral hygiene. 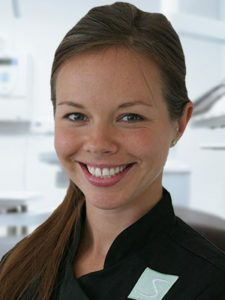 Alice Widen qualified as Dental Hygienist from Stockholm Dental School. She has worked in private practice in Sweden, Norway and the UK. Alice regularly attends postgraduate courses in the UK and abroad. Alice endeavours to provide a gentle, caring experience to all her patients so their whole mouth feels fresh and rejuvenated. Malgorzata is originally from Poland and has lived in London from year 2001. She is an integral part of our team since 2011. 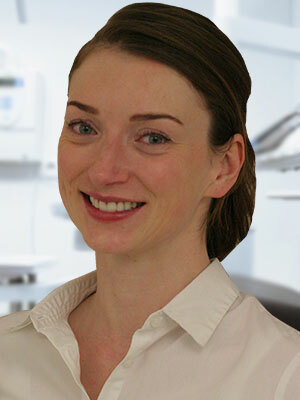 Malgorzata is fully qualified and GDC registered in London as a dental nurse. 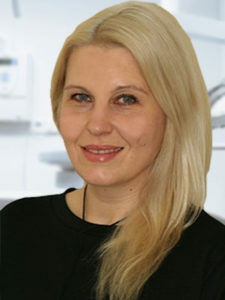 Her main interests are within implants, orthodontics and cosmetic dentistry. 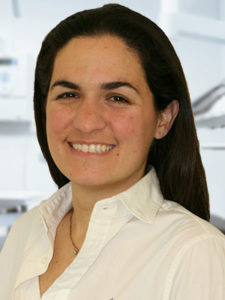 She enjoys varied dentistry with Morris, and is focused on patient care and comfort. In her spare time she enjoys reading books, going to cinema with her friends and has a love for traveling. 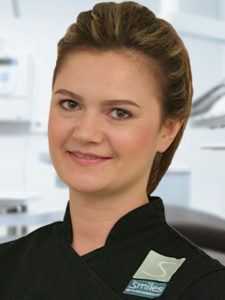 Martyna is from Bialystok, Poland, where she qualified and practiced as a dental hygienist until she moved to London in 2015. She joined our team in the beginning of the 2017 as a trainee Dental Nurse and will complete her training later this year. She gained her experience in private practices in Poland and England. She is particularly interested in restorative and endodontic dentistry. 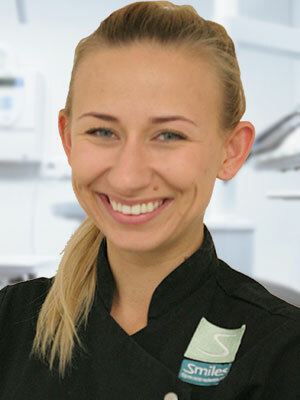 For Martyna, the most important thing is to provide a comfortable and relaxing atmosphere for patients on every visit. After work she likes to cook especially Italian cuisine.